This year's San Jiu Tie application dates are coming soon (12/22, 12/31, 1/9). As everyone is busy wrapping-up for the year-end and preparing for the holidays, a gentle reminder that the first day for Winter San Jiu Tie is coming up on Dec. 22. 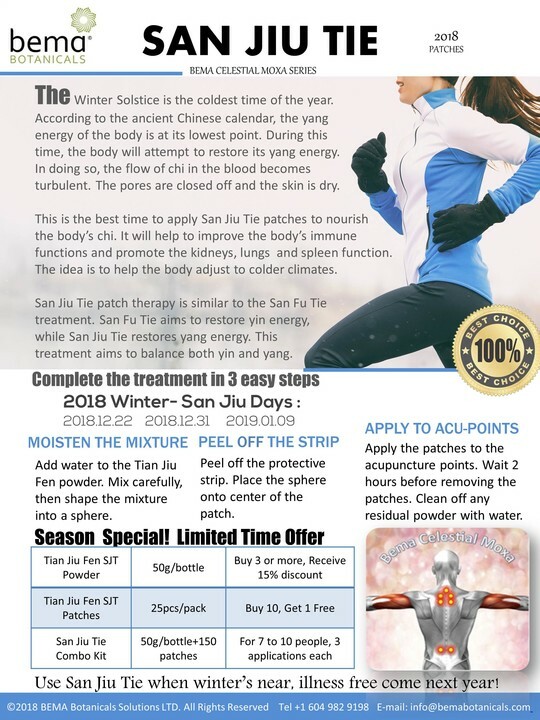 San Jiu Tie works as a compliment to the summer San Fu Tie, strengthening the body's Yang energy during its lowest, thereby helping to regulate the immune functions and prevent spring-time ailments such as common cold or allergies.